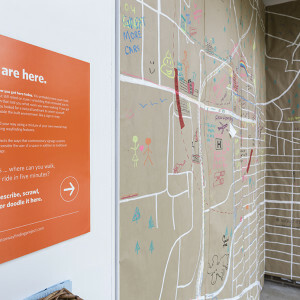 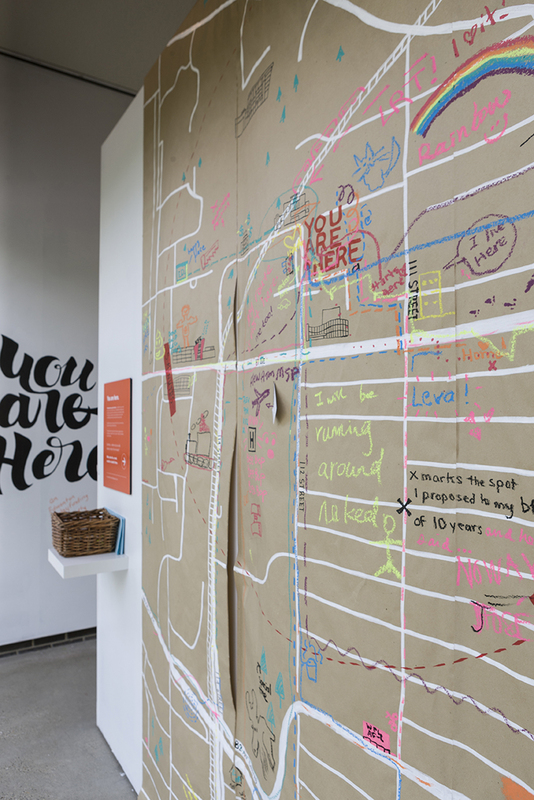 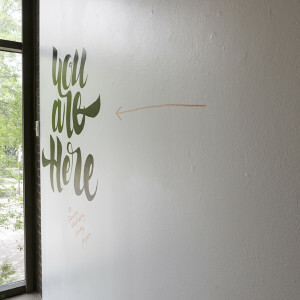 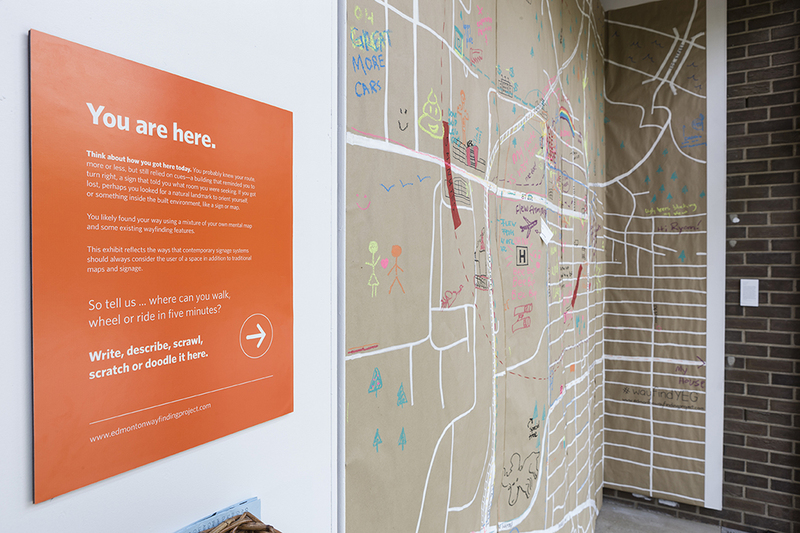 You are here includes a “live” wall space for people to comment on and challenge contemporary wayfinding ideas. 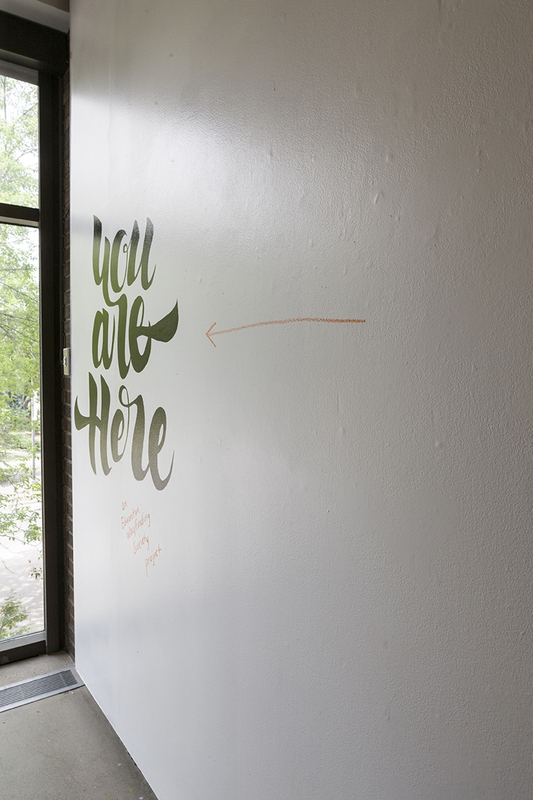 Traditional wayfinding systems do not often place enough value in the opinions of people who occupy spaces. 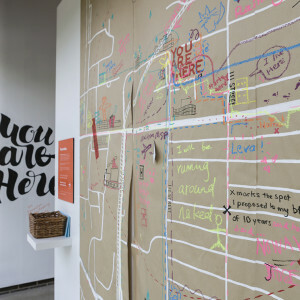 l reflect on the ways in which contemporary signage systems need to consider the user of spaces in addition to traditional maps and signage. 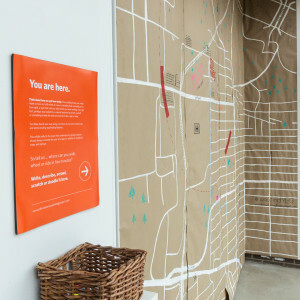 The success of the exhibition depends on the participation of users in the space. 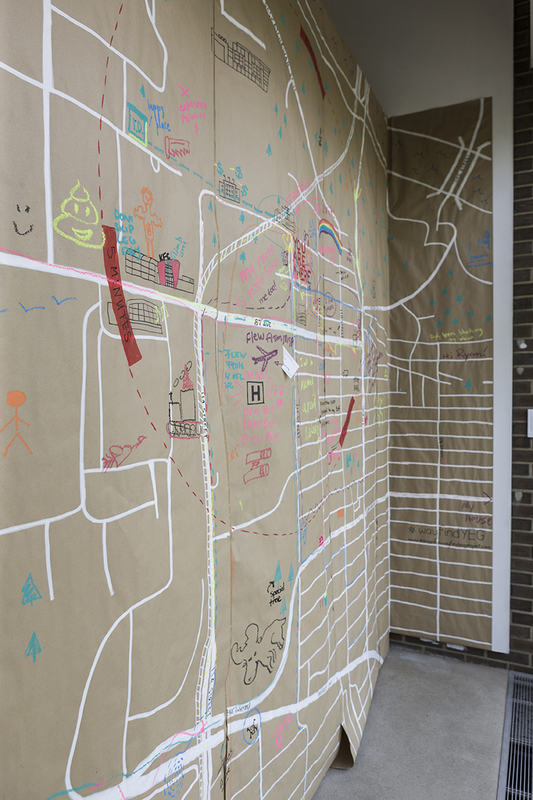 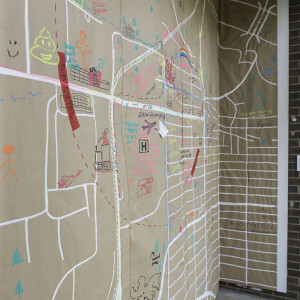 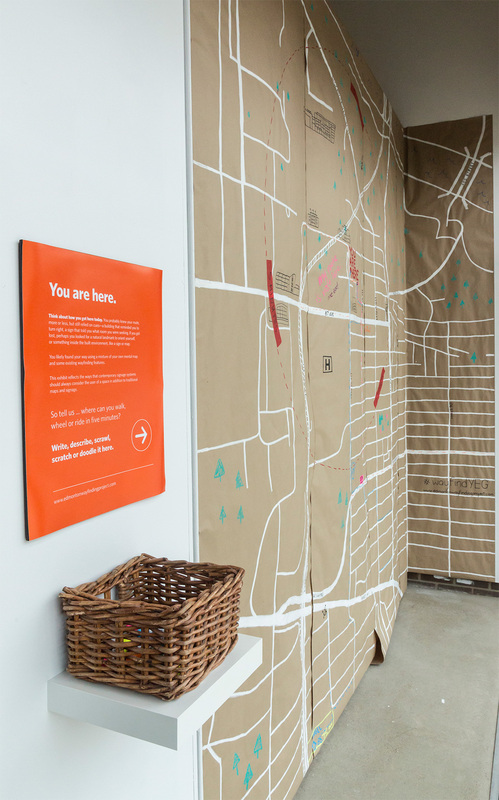 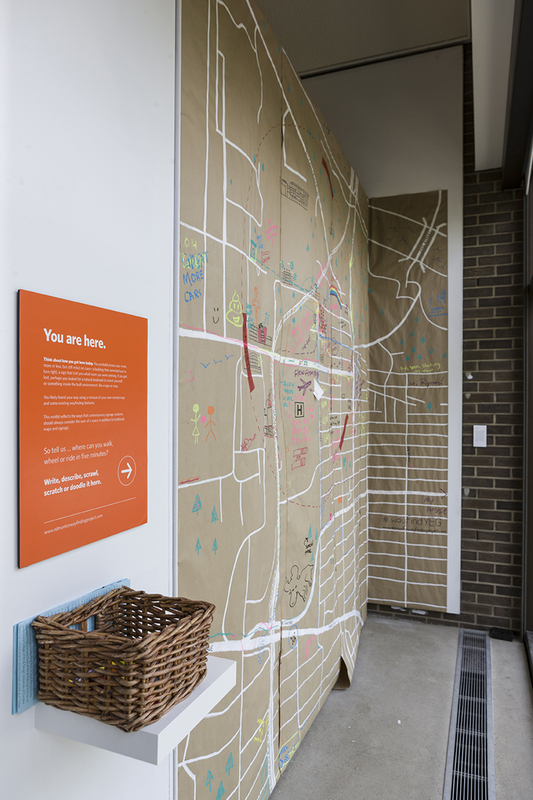 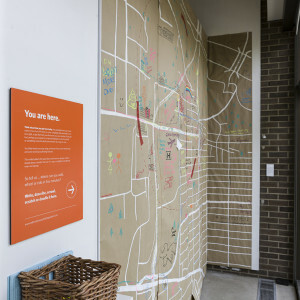 You are here encourages a dialogue and suggests that people in North are brought together by spaces in the internal environment because of the harsh external environment.